Leeds: Peacock-Farrell, Ayling, Berardi, Cooper, Phillips, Douglas, Klich (Dallas 76), Hernandez, Alioski (Harrison 89), Saiz (Baker 88), Roofe. Subs not used: Blackman, Jansson, Roberts, Bamford. Stoke: Butland, Bauer, Shawcross, Martins Indi, Pieters, Allen, Ndiaye (Fletcher 63), Etebo (Bojan 63), Ince, Afobe (Crouch 76). It was a dream start for Leeds United head coach Marcelo Bielsa as the Whites dismantled Stoke City at Elland Road. 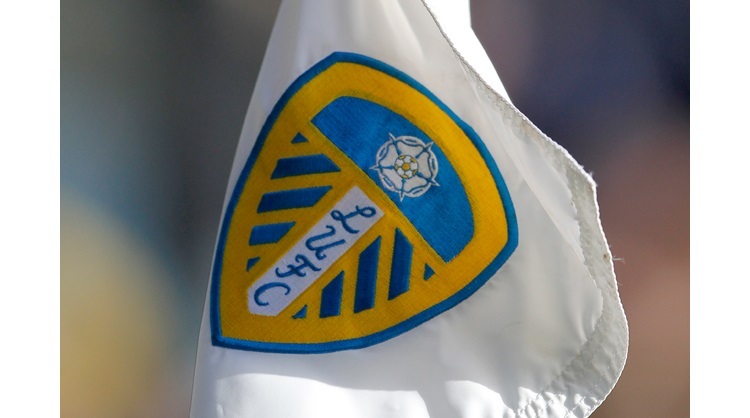 Bielsa handed a debut to full-back Barry Douglas for the test against a side many are tipping to win promotion back to the Premier League at the first attempt, with new signings Lewis Baker, Patrick Bamford, Jack Harrison and Jamal Blackman all named on the bench. The Whites made a bright start to the game and had a big chance inside six minutes, Ezgjan Alioski’s cross was met by a volley from Kemar Roofe and only the best of Stoke goalkeeper Jack Butland denied him. Leeds took the lead nine minutes later, Samuel Saiz threaded a wonderful ball into the box and Mateusz Klich, making his first United start since January lifted the ball over Butland, to score his first Whites goal, with Elland Road erupting. Stoke looked shell-shocked and Leeds almost went further ahead when Pablo Hernandez found Saiz in the box, but he saw his shot blocked. Against the run of play, Stoke’s Tom Ince fired an effort from 30 yards, which hit the crossbar and bounced over. The visitors had another good chance when James McClean broke down the left, with Stoke two-on-one, he tried to find Benick Afobe unmarked in the middle of the box, but Liam Cooper made a fine interception to prevent a goal-scoring opportunity. Six minutes from time, some lovely build up play between Saiz and Hernandez, led to a chance for Alioski who fired a first time volley at goal and only a fine save prevented Leeds from scoring a second. Leeds continued to push for a second before the break, Roofe dragged a shot just inches wide of the post, before Alioski headed an effort off target. Another breakthrough came in first half stoppage time, though, when Hernandez tried his luck from the edge of the box and his effort slipped through the fingers of Butland and into the net, with Leeds going into the break in complete control. After the break, Leeds started where they left off. From a free-kick on the left flank, Hernandez delivered and Luke Ayling was just inches away from getting on the end of it. However in the 52nd minute, Stoke won a penalty, when Ince was felled inside the Leeds box. Afobe stepped up and made no mistake from the spot, putting it down the middle, with Bailey Peacock-Farrell diving. The goal didn’t have a negative effect on Leeds though who kept going, Hernandez fed Roofe and he fired a half volley off target. Alioski then put a delightful cross into the box, which led to Ayling winning Leeds a corner and from the resulting set-piece, Liam Cooper headed home Douglas’ delivery. Leeds almost added a fourth when Alioski found Hernandez in the box, he teed up Klich, but the midfielder could only fire off target. At the other end, Stoke almost pulled one back, McClean forced Peacock-Farrell into action with a free-kick from 25 yards, before a second ball went into the box and with the Leeds goalkeeper stranded, Bruno Martins Indi headed onto the roof of the net. Erik Pieters then put a fine cross in looking for Peter Crouch at the back post, he got his header on goal and Peacock-Farrell produced a good save to deny him. In stoppage time, Stoke won a corner and there was a big goal-mouth scramble before Leeds broke up the pitch with Hernandez and substitutes Baker and Stuart Dallas, but were unable to convert the chance. As the full time whistle went, the crowd of over 34,000 at Elland Road erupted once again, as the Bielsa reign began with all three points.